Chelsey Montgomery is the owner and lead trainer of Knallhart Kennels & Training Academy, specializing in providing the most personalized and elite dog training in the Midwest. She is committed to helping all owners and their canines reach their goals as efficiently as possible. Her unique program is formulated with both positive reinforcement and corrective training and structured to ensure that her clients understand the dog psychology behind all the training that is taking place. Chelsey's methods have had proven results. 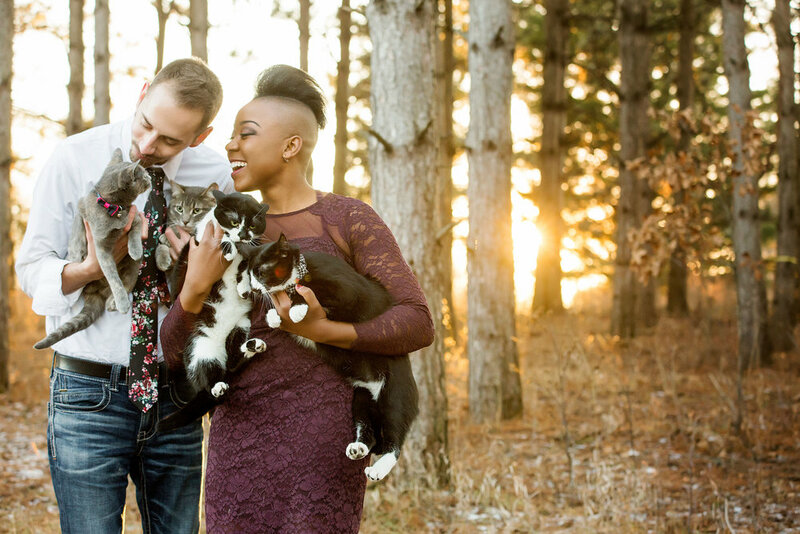 Her goal is to ensure all her clients to feel as though they can handle, train and live alongside their canine with ease! Chelsey’s conducted her science and health based college education at the University of Iowa on a full academic scholarship. She later decided to pursue dog training after she realized her natural ability to understand and connect with canines and their owner.s with ease. Chelsey has experience in AKC obedience and has trained, competed and titled multiple dogs, even placing with a top rank in the Companion Dog Excellence class (CDX, AKC’s second highest competition level) and has also been invited to compete at the National AKC obedience competition in Orlando, Florida multiple consecutive years . At the 2018 National Royal Canin Show, Chelsey and her personal canine Onyx placed 2nd in obedience and brought home first place conformation ribbons with her Newfoundland Sofia. Chelsey has experience training and certifying service dogs and therapy dogs for the disabled and volunteers her time in her community using her dogs to help those with disabilities. Chelsey also trains working protection canines. 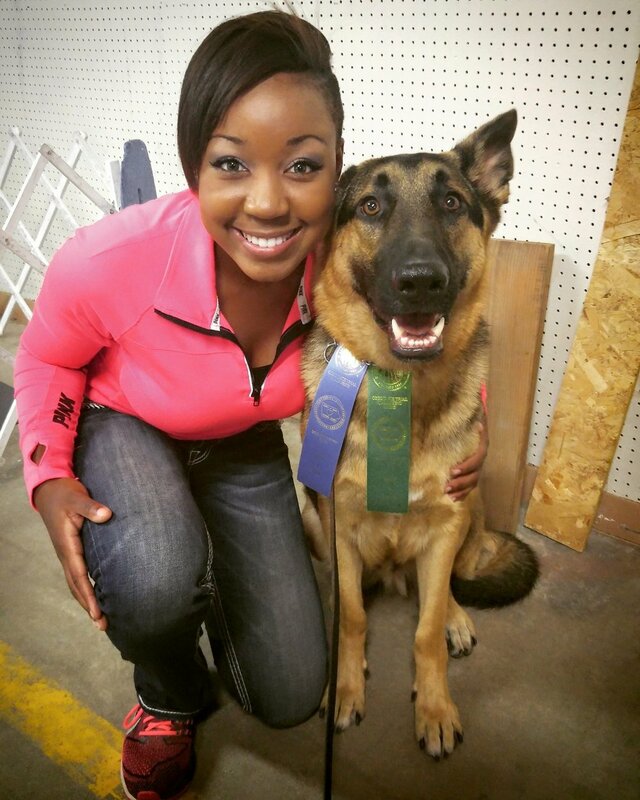 She trains with the Mid- Iowa Working Dog Club in Fort Dodge Iowa. She has titled two of her German Shepherd’s to a BH and is currently working toward IPO titles with her young female Onyx and higher National and World level competitions with her owned stud Paul. Chelsey’s most recent venture in dog training is working with one of her newer personal dogs named Muddy, who is a Central Asian Shepherd Dog, on livestock guardianship. Chelsey hopes this new sector of dog training will help her continue to understand genetic components when it comes to training advanced skills , such as protecting livestock from predators on the farm. Chelsey has solved hundreds of behavior modification cases (aggression, leash pulling, excessive barking, etc.) in the last several years and hundreds more prior while working for other training facilities. She is willing to take on nearly any case confidently, and always takes the time to ensure that she trains her human clients so that they feel comfortable and understand the dog psychology and processes behind all the training that she does. She strives to be honest and transparent about the training that your dog needs. 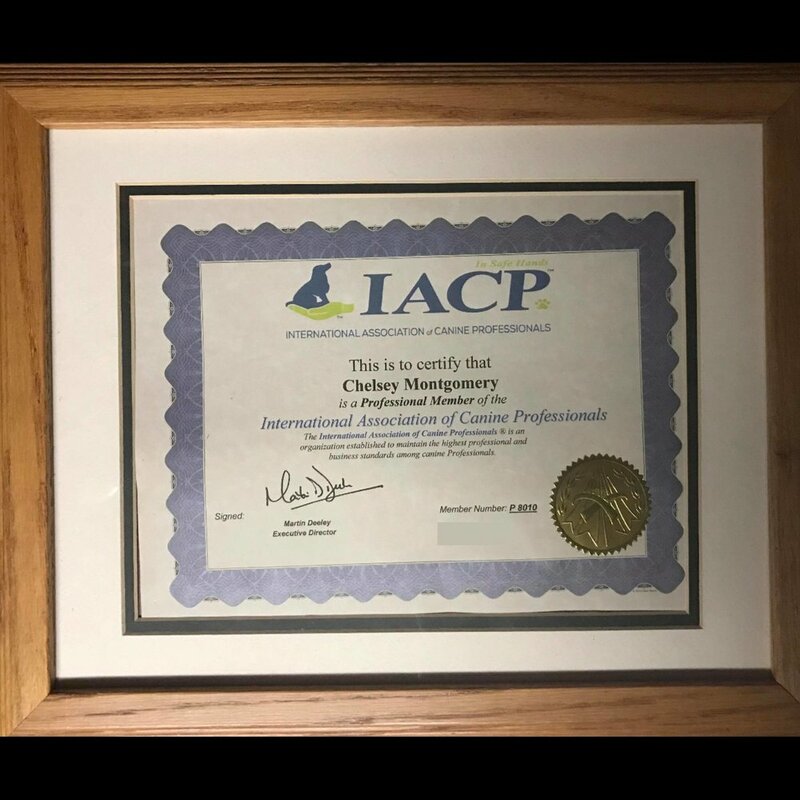 Chelsey Montgomery is certified through the AKC as an approved Canine Good Citizen Evaluator and well as through the International Association of Canine Professionals (IACP) as an elite level dog trainer. She is definitely a jack of all trades when it comes to canines. There hasn't been a dog she hasn't been able to train and client she hasn't been able to help! If you are looking for a fun, experienced trainer to help you and your dog achieve success, contact Chelsey today!